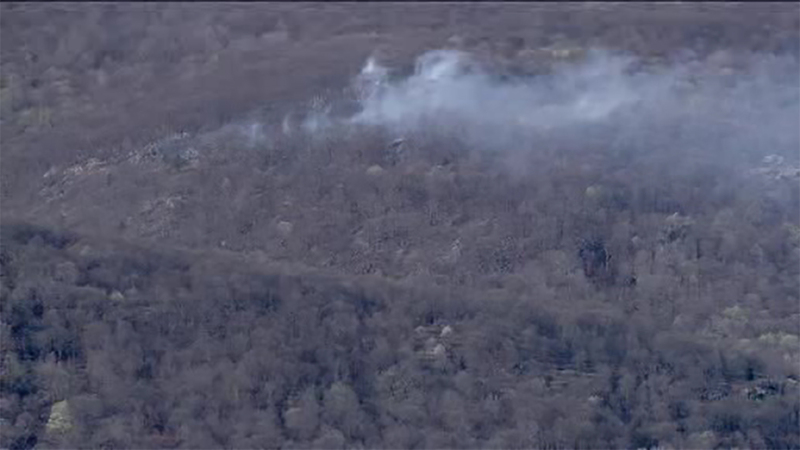 MAHWAH, New Jersey (WABC) -- A wildfire that scorched a mountain region in New Jersey and nearly trapped several hikers Monday afternoon has been extinguished. The blaze broke out at the Ramapo Reservation on Route 202 in Mahwah. Firefighters battled the flames on the ground and in the air by dumping large buckets of water. Police said the forest service was on the scene and called for a helicopter for a water drop. Several hikers had a tough time making their way out of the area due to heavy smoke. At least two dozen hikers were reported to be making their way down the mountain.